Today It’s time to do some polka dot nail designs on nails! Polka dot is one of the simplest art in all Nail Art designs, so let’s make polka dot design interesting by mixing lines and polka on it. Every girl is freak to have nail art designs on nails. The best part is these days nail art tools have done it easier for a woman to go for any design of their choice. This article will help you how you can commence with basic of nail art dots and lines so that you can get perfection to do some difficult nail art design. Never think to give up! Below you will learn in detail how to make Stripe and Polka Dot Nail Designs in a few Minutes. Choose instant dry Nail Paints when doing nail art this will support you dry your design quicker as you have to not wait for drying up of nail polish. 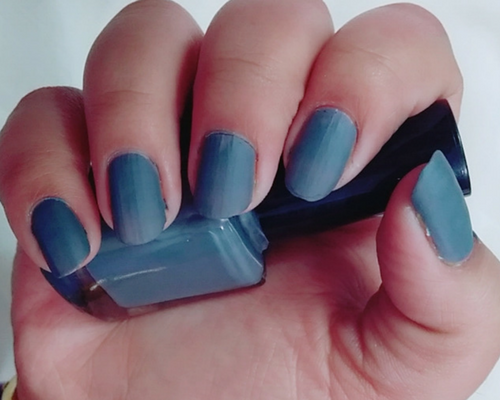 For avoiding cuticle smudge, you can implement this nail hack which is very tricky. Mix fevicol glue and water in a small volume and apply it on outer cuticles of your nails. When you are done with your nail art design push that thick layer from the cuticle. To dry your nails spontaneously, you can try this two methods dip your hand in cold water or use a hair dryer for complete drying of nail art. You can use tape for straight lines in your nail art, make sure tape should be less sticky in nature. Let us begin with some basics today! It is always necessary to apply a base coat before you begin nail art, never think of jumping this step. There are many perks of applying base coat as this provide nourishment and preserve your nails from breakage as well as yellowing. Everyone knows that nail paints have an inadequate amount of chemicals which can harm our nails if kept for the longer time period. Here I have used my Teen Beauty instant dry nail polish. 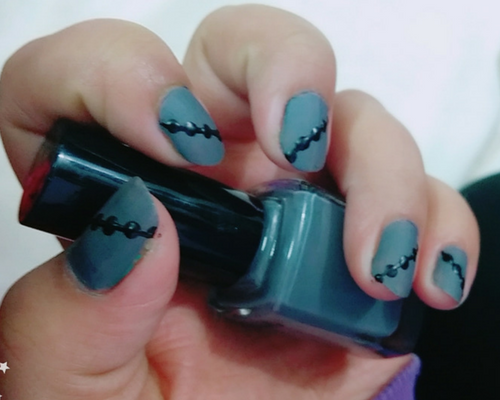 In this nail art design, I have chosen two color contrast which is grey and black. It is never compulsory to select the same color you can pick your favourite and go for it. Learn how to make use of your nail art tools. Yes, I know every girl don’t possess the tools to create cute nail designs but not worry here I am going to tell a few alternatives to tools. Firstly learn how to execute this design as shown in the image above. Once your nail art base coat is dry, drop a few drops of black nail paint into nail art tray. Before you make use of stripper brush clean it with remover so that undesired nail paint is removed. 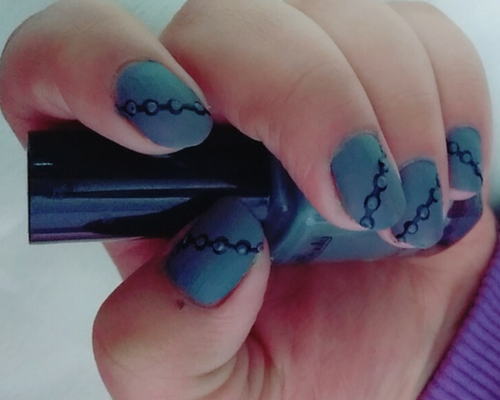 It’s time to draw slanting thin lines with black polish in random directions. Now add polka dots on the lines with some distance, keep the polka size normal not too small and too large. Let’s come to the alternative of polka dots and stripper tool, If you don’t have this two nail art tools than you can make worth of painting brush for stripes and bobby hair pin to make the same polka pattern. The last step is the most simple as it will give you the ultimate look of your polka dot nail designs. Add grey color polka dots on the black polka, that is overlying grey polka on black. Here grey polka will be smaller than the black as too give 3D look. Good time to seal your nail art design for a longer stay.